Karen Park, with her personal pet snake Sutra. 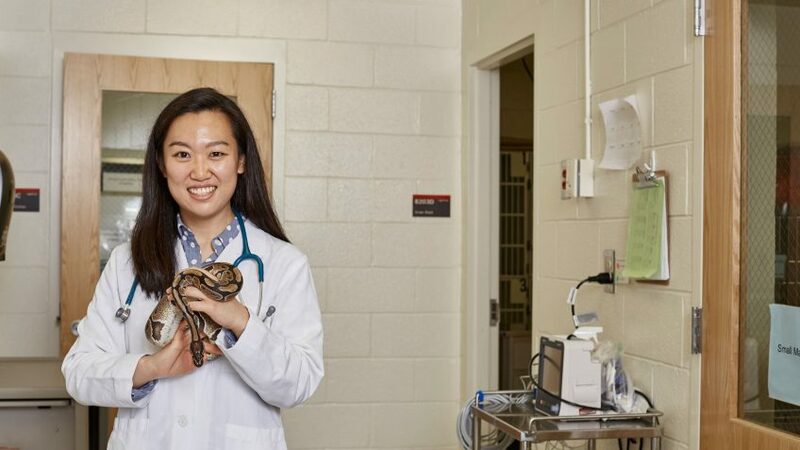 Fourth-year North Carolina State University College of Veterinary Medicine (CVM) student Karen Park is one of 25 students in the country to receive a grant from the Morris Animal Foundation. The $5,000 grant is provided to fund mentored summer research projects at colleges of veterinary medicine accredited in the United States. Recipients are nominated by participating academic institutions. The radius and ulna are the two bones in the forelegs of dogs, analogous to the two bones in the forearms of humans. The canine radius is one of the more frequently injured bones, and also is sometimes subject to deformity. Thus, it is often of interest to orthopedists. That’s where Park’s research project comes in. Let her describe it: “Computer aided design (CAD) software is being increasingly used to assess bone shape and plan complex orthopedic procedures … We propose to develop and optimize a CAD process to assess the shape of normal and abnormal canine radii. Our goals are to evaluate the accuracy, repeatability, and convenience of several CAD software methods used to assess the geometry of normal and abnormal canine radii.” The end result would be to provide clinicians with a more reliable way to plan complex surgeries and treatments. Park credits the inspiration and support for her efforts to her mentor and sponsor, Denis Marcellin-Little, CVM professor of orthopedic surgery. He describes his own research as including “the design, fabrication, and implantation of custom orthopedic implants. This process relies on modeling and on additive manufacturing (3-D printing) with polymers and metals.” And Park reports that her own project, like much of her mentor’s work, involves an interdisciplinary collaboration with the Departments of Industrial and Systems Engineering and Biomedical engineering at NC State. Park will graduate in the spring of 2017. 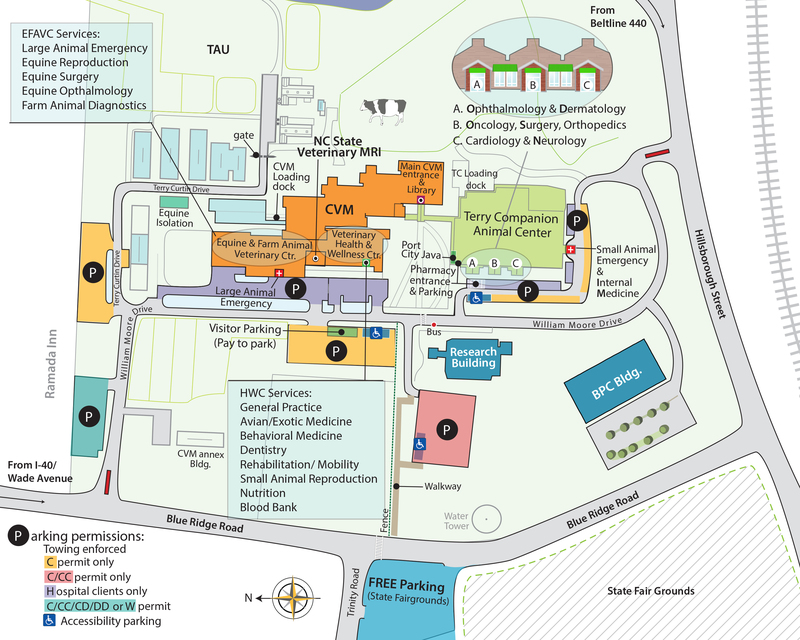 From there she ultimately hopes to have a career in academia where she can simultaneously be a practicing clinician and continue to pursue her interests in research, like many faculty members at NC State. Since its founding in 1948, the Morris Animal Foundation has invested more than $100 million toward 2,400 studies that have led to significant breakthroughs in diagnostics, treatments, preventions and cures to benefit animals worldwide.